AEGEE-Delft | The student travel association of Delft! The student travel society of Delft! Snowfights, parties in bathrobes and wódka with grass; the epic Estonia expedition, although not going to Estonia, was a big succes! Still hungover from new years eve we left the 1st of January for Poland with a small but really nice group. 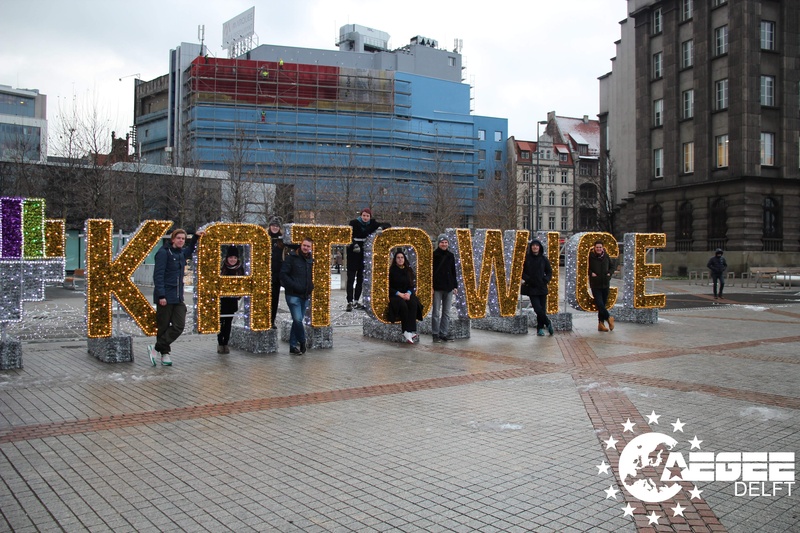 First we visited Katowice, an industrial city with a lot of history. 2 days later we moved on to see the beautiful snow covered city of Krakow. There we discovered a crazy hidden shotsbar which unfortunately ran out of bailey’s because of us. Besides all the fun and partying there was also time for more serious stuff; we visited Auschwitz the 4th day, which was a heavy but also a really teaching experience. Furthermore we had a lot of fun and ‘gezelligheid’ with each other and all the great people we met. And we learned a lot about Polish food and culture. Maybe we didn’t make Estonia, but we made it epic! We hope you join us for our next ReisCom trip! 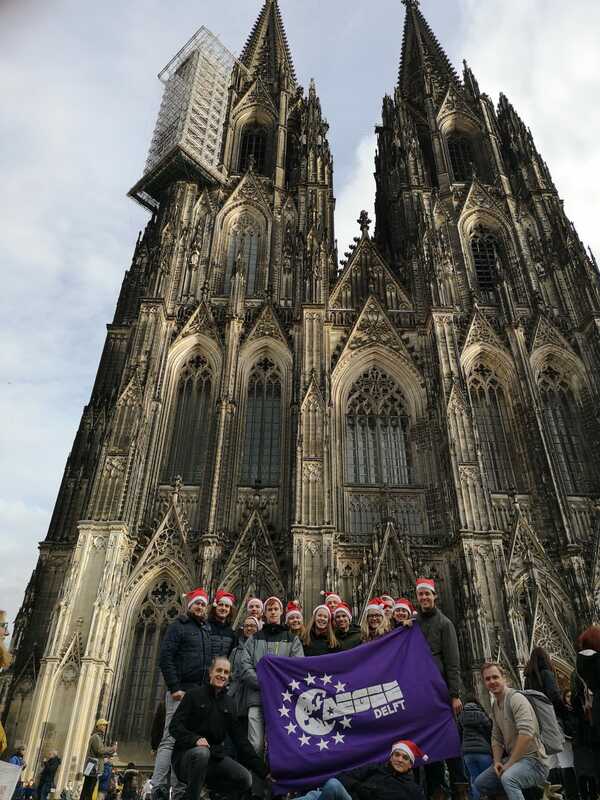 During the weekend of 30 november till 2 december 14 members of AEGEE-Delft went to the two german cities Aachen and Cologne, mainly to visit the christmas markets there. It was quite rainy during our stay there, but that did not matter because at least the gluhwein (specials) tasted too good to care about the rain. The two locals AEGEE-Cologne and AEGEE-Aachen showed their hospitality to the fullest during our stay, because we could get hosted by some of their members, which is of course very kind of them! Only in Cologne it could not be possible to get everyone hosted, some had to stay at a hostel for the night. Our trip began with a long train ride to Cologne. After arriving and dropping off our baggage at our hosts/hostel, we went to a cocktail bar. Some of the hosts even drank a cocktail with us too! We spend the next day mainly exploring the christmas markets which Cologne had to offer. Which comes down to exploring the stands preferable while enjoying a warm mug of gluhwein or a warm bratwurst. 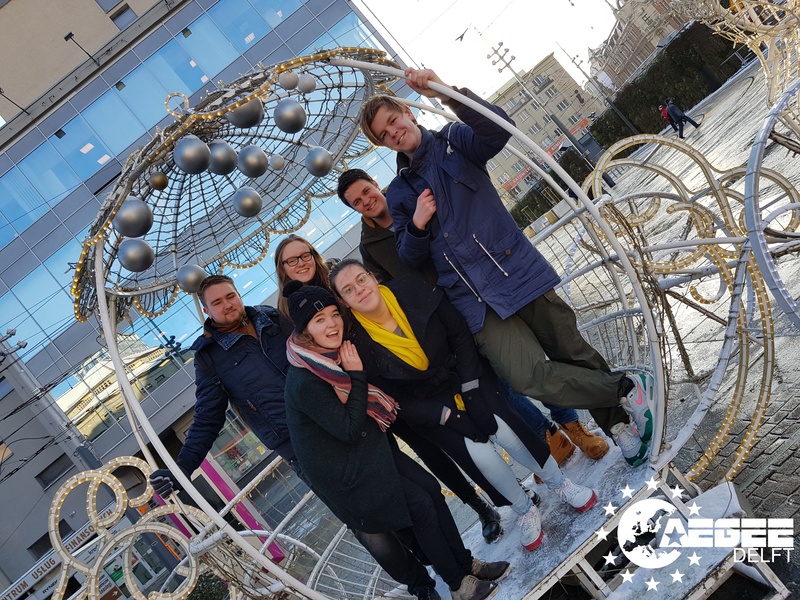 Two member of AEGEE-Cologne showed us around these christmas markets, which was very kind of them. Later that afternoon we also took a visit to the magnificent cathedral of Cologne. After that, we took the train and Flixbus to arrive at our next city to explore: Aachen. Our evening in Aachen had a slow start, because we could not find a bar to chill. After a while we did find a cosy bar where we enjoyed a few drinks combined with some cheerful banter. We ended the saturday evening with dancing like there was no tomorrow! The following sunday, we explored what Aachen had to offer. Even though Aachen is quite small compared to Cologne and has only 1 christmas market, there was still a lot to see. After exploring Aachen, it was time to take the train back. The form will close at the 4th of November! In the weekend from 12- 14 October the first Hitchhiking trip of the year took place. It was the PaReis that enjoyed the beautiful weather and good company in Paris. 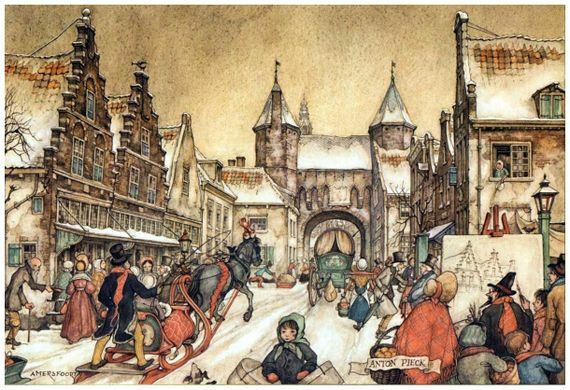 Everyone managed to arrive within a day and on the way back also arrived safely at Delft. 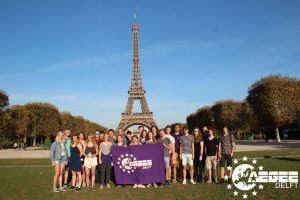 We savoured baguettes, wine and the company of AEGEE-Paris! A wonderful first hitchhiking weekend and we are looking forward to our upcoming trips! Do you like to travel? Would you like to explore Europa without spending that hard-earned money from that stupid summer job of the last two years? Would you like to be received by a friendly local in every major European city, and to be guided by that local? 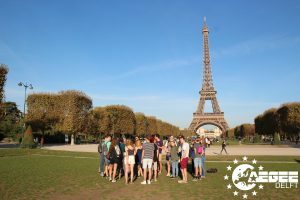 At AEGEE you will be at the right place. Within Delft, AEGEE(Association des États Généraux des Etudiants de l’Europe) is one of the smaller student associations. But actually AEGEE is part of the biggest European student network that stretches from Turkey to Norway, from the Canary Islands to Russia. All together, we have 13.000 adventurous members with open-minded characters in about 200 university cities. 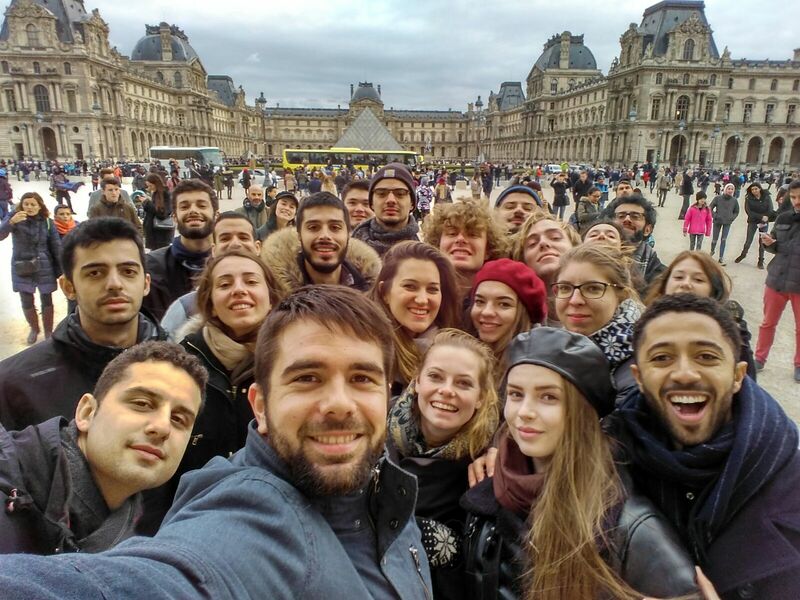 We are all students who like to travel through Europe, and are open to meet other students of all sorts. 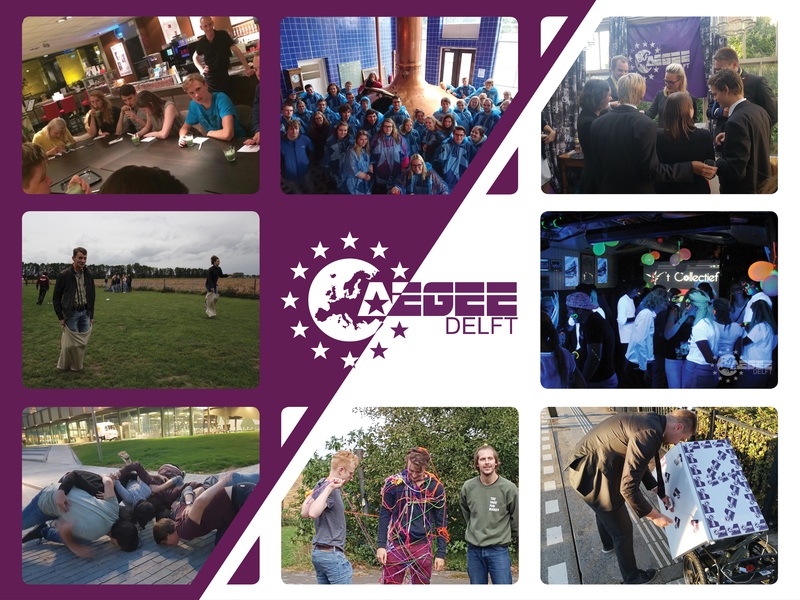 Would you like to know more about AEGEE-Delft or AEGEE in general, click here or here! 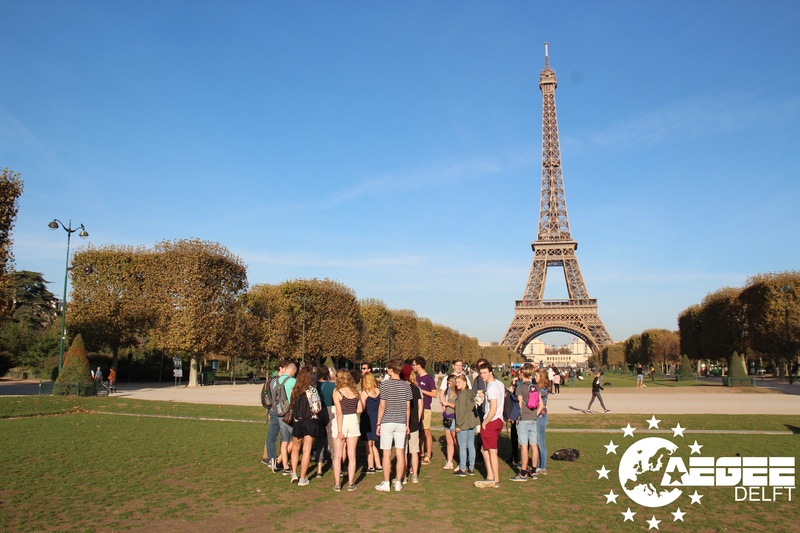 Are you already convinced that you will feel home at AEGEE, or are you just curious on what AEGEE has to offer? 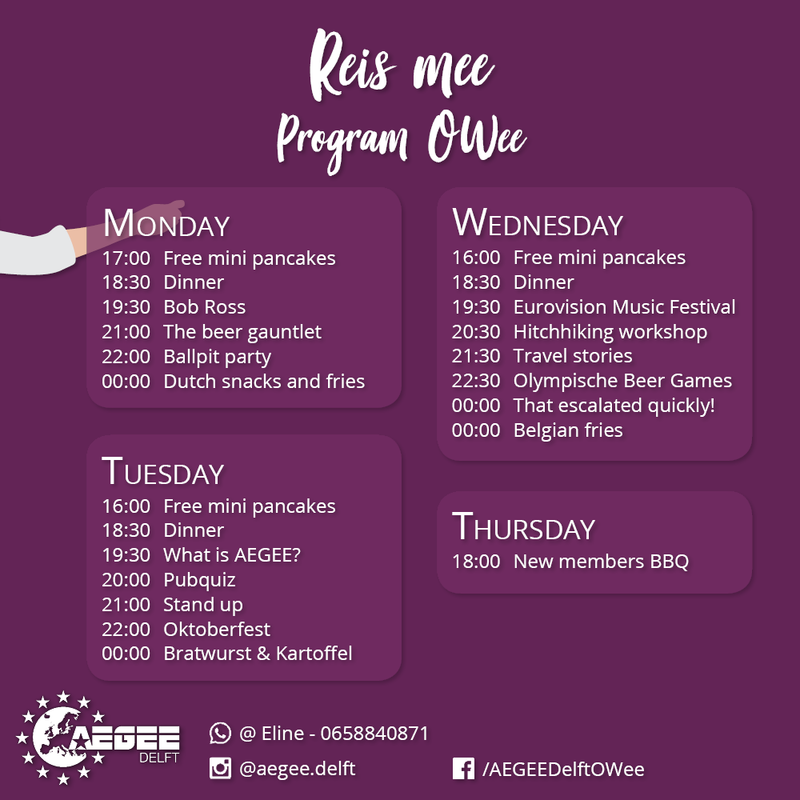 Check our program during the OWee here and come around for one of our activities! Also, keep tabs on our Facebook page for events and photo’s, and follow our Insta-story for the somewhat less professional photo’s! 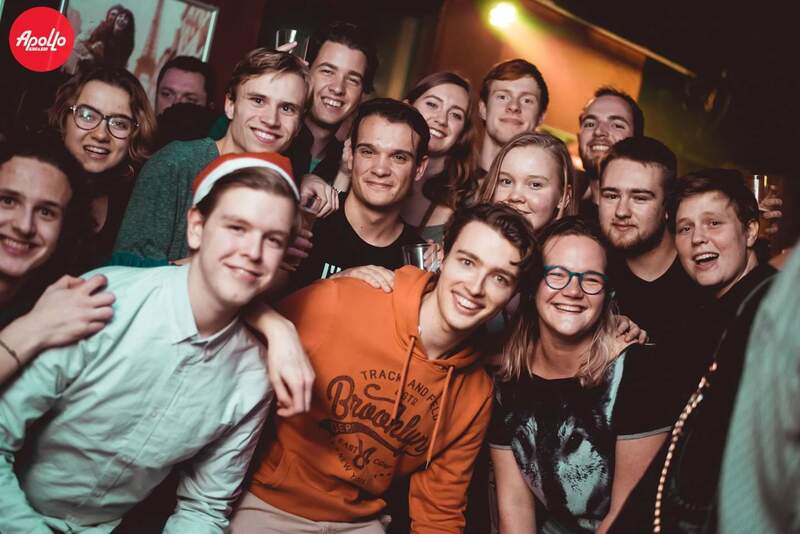 This year, two of our member’s went to a New Year’s Event organised by another AEGEE local. Q: What is a New Year’s Event (NYE)? event for all AEGEEans to queer up your next New year. If the group is great, then there is nothing that can turn an event into a bad event, but if the group is fantastic, the programme is great, and the organisers and helpers are the best, then the event is one to never forget! NYE Paris was the best European Event I’ve ever had, let me tell you why. Paris is a huge city, and we could fill the whole 5 days with city tours, which we didn’t. The Organisers&helpers showed us all the great places of Paris: Montmartre, Moulin Rouge, Notre Dame, Louvre, La tour Eiffel and Lafayette. It was the end of November, the weatherman told us that it would be a dreadful weekend with a lot of rain. Of course we did not back down from our adventure! We went with a total of 23 lovely AEGEEans to the gorgeous city of Leuven. On friday we devided ourselves in two groups, one of the groups started a bit earlier because they didn’t have any lectures in the afternoon. They Sterted around 14:00 from Delft while the other group started at 17:30. The afternoon group already picked up a bag of flemish fries to taste the locals’ specialty. That night we ate at a great restaurant called “Tibetan Palace”. That night we went out for our first small pubcrawl were we visited at least “de Giraf” and “Barvista”, well-known amongst locals. On saturday morning we had a city-tour scheduled with our friends from AEGEE-Leuven, we started the tour around 11:00. After the city tour most of us flocked to the café’s for a nice hot chocolate to warm up after being outdoors in the cold for a couple of hours. In the afternoon we went to the Artois brewery in Leuven, a gigantic brewery which brews many types of beers. After the brewery tour we could taste one of their beers as well! After the brewery we fell into smaller groups who each went for a perfect place to have dinner. After the dinner we rejoined with each other and the people from AEGEE-Leuven to celebrate ou last evening in Leuven in the clubs. On sunday there was no programme and most of us went home directly after checking out of the hostel, some of which went to Antwerp, which was on the way home and some of us wanted to see. In the end this was an awesomejourney which will stay in my memories for quite some time. I hope the next travel will have at least as much people!